Wheat grain may be taken in as raw material for making wheat starch. 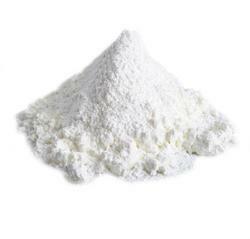 Wheat flour is also used to make wheat starch. Usage/Application: Thicken or stabilize products such as puddings, soups, sauces, pie fillings, salad dressings etc. Wheat starch comes from the cereal grain. 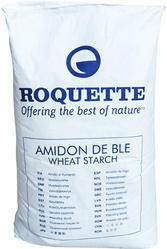 Wheat starch is characterized by a high gel temperature (85°C), a low viscosity and a short texture. Our clients can avail from us a premium quality range of Starch, which is formulated using the best quality ingredients by our associated vendors. Acknowledged for their accurate composition, freshness, purity and high pH value, these are widely used in the applications of pharmaceutical, textile, food and paper industries. Being a client-oriented entity; we are indulged in the domain of offering to our clients an inclusive grade assortment of Wheat Starch. These products are formulated by employing supreme-grade chemicals and with the assistance of futuristic machines. Pharmaceutical: As a carbohydrate nutrient source in the preparation of . Vinod Kumar Mehta & Co.